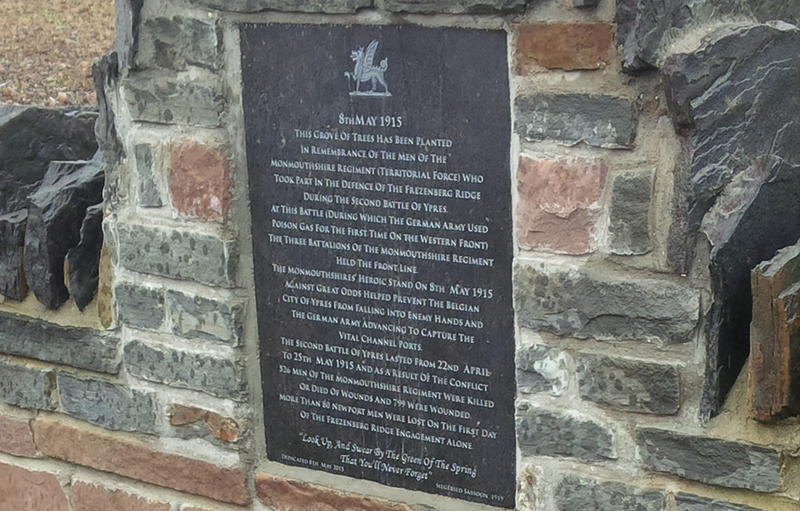 First World War Memorial plaques, Newport. – May 14, 2015 | War Memorial Conservation Co.
War Memorial Restoration Co has had the honour to create and carve two memorial plaques in memory of 86 Gwent men that were killed in a single day during the First World War. The fallen were part of 3 battalions of the Monmouthshire Regiment of the British Army, and were placed on the front line at The Battle of Frezenberg Ridge in Belgium. The efforts from these heroic men helped prevent the German Army from advancing onto the Belgian city of Ypres, and thus stopped them from capturing the indispensable channel ports along the coast. 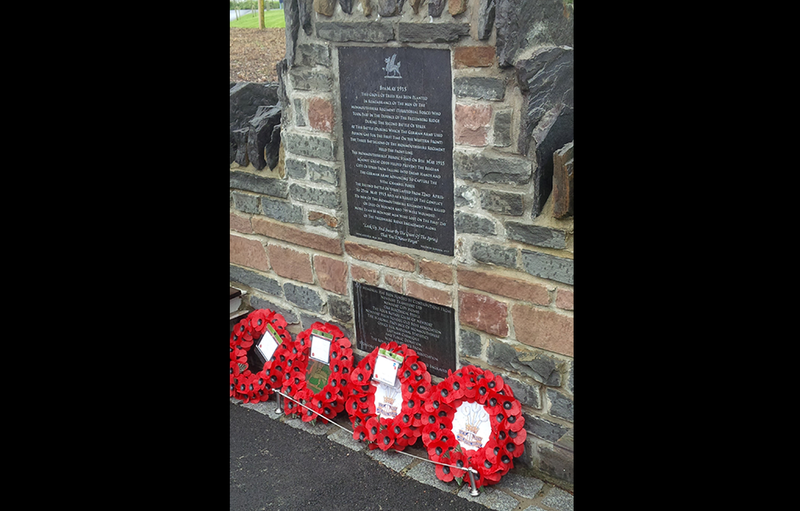 The plaques were carved from a Belgium Blue limestone sourced from a quarry in the region where the battle ensued and are incorporated into the Welsh Pennant stone walling at the Riverfront Memorial in Blaina Wharf, Newport. One plaque is engraved with the names of the fallen soldiers who so tragically lost their lives during the battle. A dedication for the memorial plaques was held on the 8th of May, marking the anniversary of Frezenberg Ridge.